Item number N2.698 from the MOA: University of British Columbia. 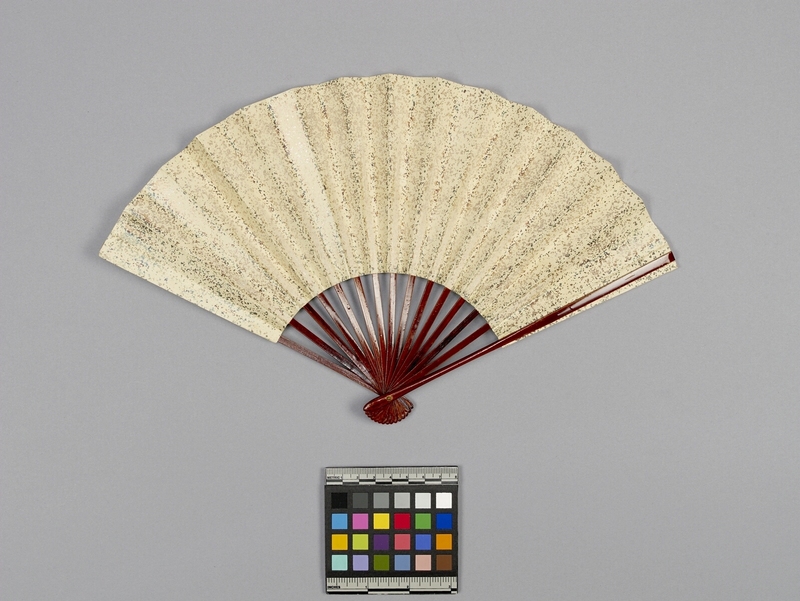 Folding cream-coloured paper hand fan with red-brown lacquered bamboo ribs. 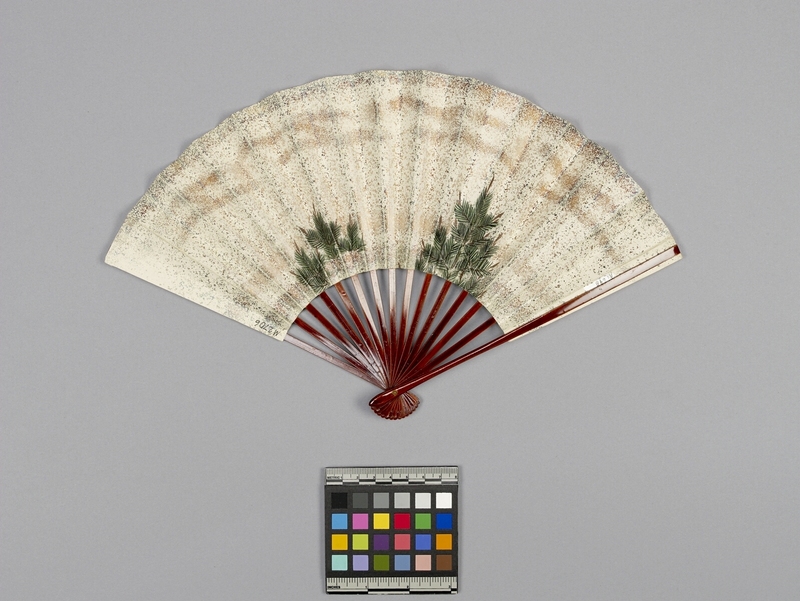 The design painted on the front of the fan consists of a young pine tree on a silver speckled cream ground; the back is also painted with silver speckles.